S&P Global Ratings reported the forecast of GDP growth in Ukraine in 2019 by 2,5% with the devaluation of hryvnia (Ukraine’s currency, - ed.) to 28,6 hryvnias for U.S. dollar, as Interfax-Ukraine informed. It was noted that S&P affirmed a long-term and short-term foreign and local currency sovereign credit ratings on Ukraine. "While the economy is growing and inflation is on a downward path, the financing outlook is uncertain for government foreign currency redemptions beyond 2019, when Ukraine will have to negotiate a fresh agreement with the International Monetary Fund (IMF)," S&P reported. 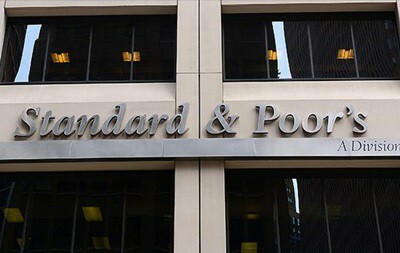 S&P representatives explained that the “stable” forecast reflects the expectations that Ukraine will implement the conditions of the agreement with the IMF within the stand by program for $3,9 billion. “Ratings pressure could build if disruptions to funding from concessional programs or capital market access over the next year call into question Ukraine's ability to meet large external repayments over the remainder of the year and in 2020,” the news agency reads. "We could consider a positive rating action if we see improvements in growth, fiscal and external imbalances beyond our expectations, and if we conclude that the security situation in the non-government-controlled areas in the East of the country has stabilized and further escalation is unlikely," S&P reported.